(P1) Don’t purchase those plane tickets just yet. (P2) Prices may look cheap now, but airfare is going to get even cheaper in the coming months, according to travel analysts at Hopper. By October, flight prices will have dropped 8.2 percent from their current levels to an average $213 per domestic round-trip. That’s a steal, considering it’s 16 percent cheaper than in the fall of 2014. (P3) The price drop is nothing new: It’s normal for airfare prices to drop as summer ends and fall begins, The Points Guy’s Zach Honig told HuffPost. (P4) This year, in particular, there’s been much debate about the absolute cheapest time to buy. We’ve heard recent chatter about “Cheap Flights Day,” a day in August when prices supposedly start to plummet. But according to the experts, HuffPost asked, “Cheap Flights Day” is not it’s all cracked up to be. You’re better off waiting until September or October to buy your ticket, at least this year. (P6) Hopper recommends buying tickets before prices creep back up again in November. Of course, you should always book domestic flights about 54 days ahead of time for the best price, and check cheap flight websites for hot deals. (P7) Follow these tips, and you’ll be on your way in no time. Happy travels! After reading this article, will you wait until September or October to buy cheaper airfare? Why or why not? Why do airfare prices change throughout the year? 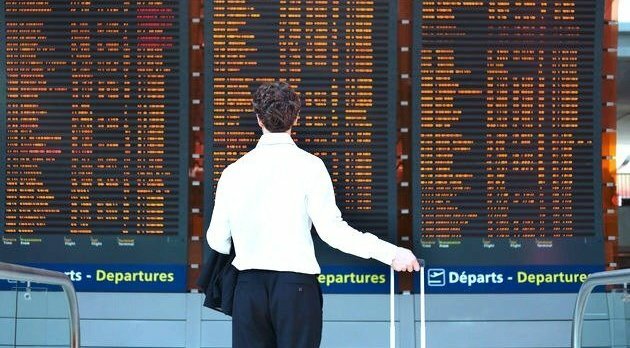 Do you use cheap flight websites to check for cheaper prices? Why or why not? Airfare will be what percent lower by the end of September? Which month will airfare slowly increase again? How far in advance should domestic airfare be purchased? Image source: by “unknown” GETTY IMAGES http://www.huffingtonpost.com/entry/cheap-airfare-september-hopper_us_57b613f2e4b00d9c3a166a5d?